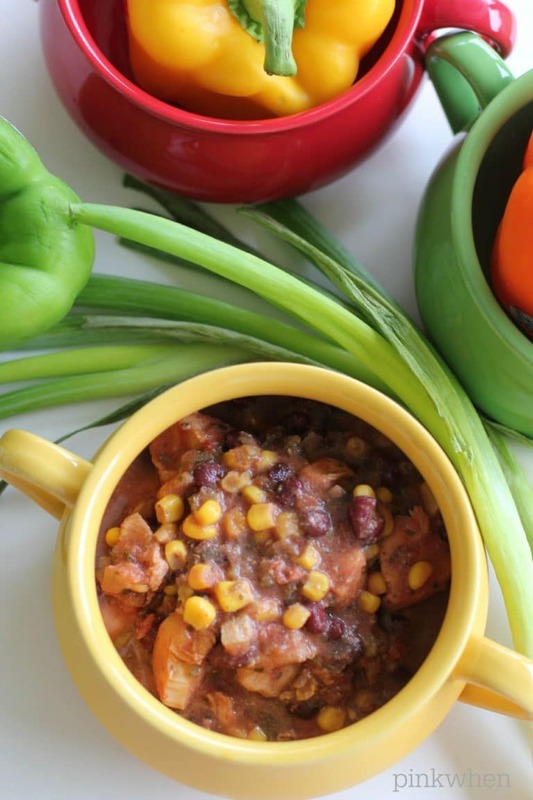 Toss these ingredients in the crock pot and cook all day on low, yummy!!! Add all of your ingredients into the slow cooker and then cook on low for 8 hours. When it is all finished cooking, top it with crushed Tortilla chips, sour cream, shredded cheese, and chopped green onions for a little more flavor! My favorite way to make this is as a freezer meal. With a hectic family life and constant running during the week, this is a great meal to make ahead and freeze for a later date. To make this a freezer meal, you would place a slow cooker liner into your crock pot and then add all of the ingredients as you would if you are cooking immediately. Once you have everything added, twist the top of the liner closed and add to a freezer bag, label it, and place into the freezer until you are ready to use it. 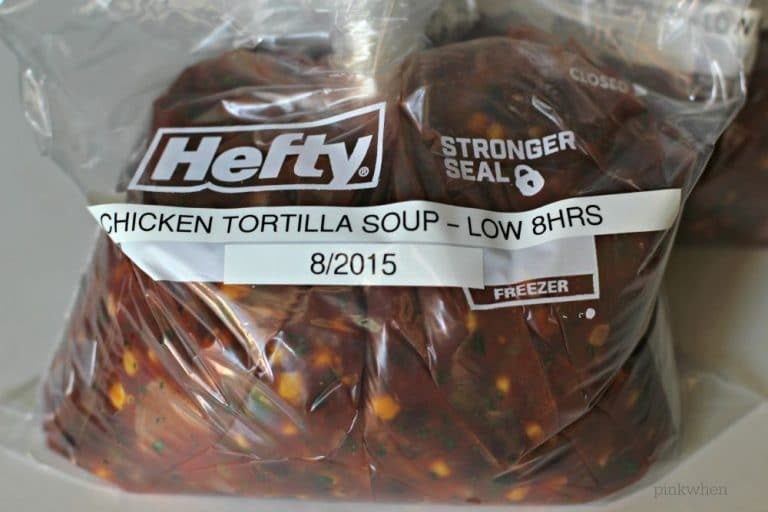 When you are ready to make this awesome meal, just grab your bag from the freezer, remove the freezer bag, and then place the liner with your frozen soup into the crock pot. 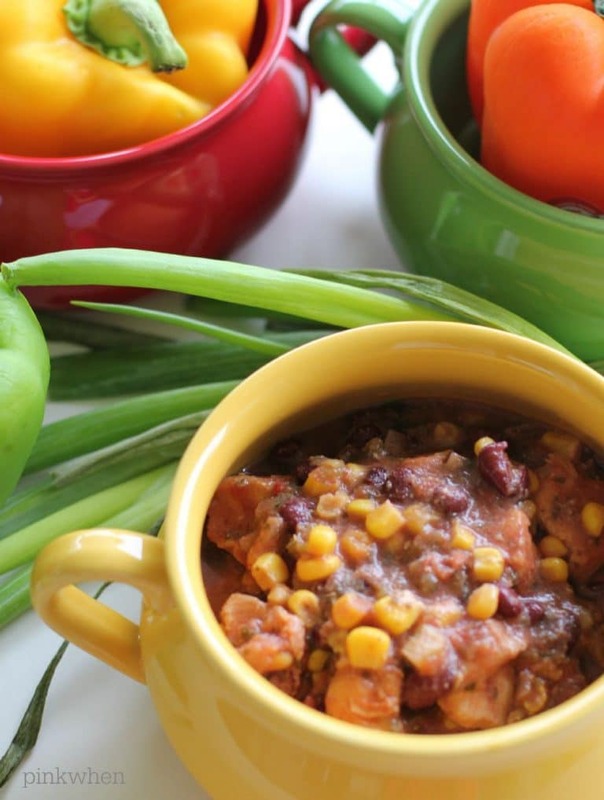 Place your slow cooker on low and 8 hours later you will have a delicious meal. This delicious slow cooker chicken tortilla soup is one of my favorites and may be one of yours soon. Let me know what you think after you make it! If you liked this recipe, you may also like this slow cooker spicy hot wing recipe. If you are thinking that freezer meals are a great idea like I do, then check out this great list of Freezer Slow Cooker Meal Essentials. I love chicken tortilla soup on a Sunday, watching football and just hanging at home. Will definitely have to try this recipe! I love my handy dandy little crockpot! These seem like they’d be great for fall, I’m all over that! The tortilla soup looks so god! My 1st freezer slow-cooker meal and it was so easy and good! Thanks! To those making, I recommend having lots of toppings on-hand as it was just a lil bland.